Alright, so I know I am a day early on this, but since I post a whole three days a week I wanted to wish you a Happy Thanksgiving today. I think the older I get the more it becomes my favorite holiday. It is a day set aside to remember our blessings. No matter how bad things get there are still things to be thankful for. Now while I may not have quoted the tale exactly I know I have captured it’s essence and that is what is important today. See Bob understood that there are things in life that are far more valuable than his stuff. It is those intangible things that we possess even in the trials that we should be remembering to give thanks for. Sometimes though life might throw you a curve ball or two or ten, and you can’t claim to have your health, job, family, etc… It is then I would suggest that Christ is there for you more than anyone else. He has stepped into the gap, washed you clean, and provided you a chance at salvation. All you need do is believe in him. Believe that he was, who he said he was. Believe that he was persecuted for you, and that he died for you. Christ died for each of us, while we were still yet sinners. He did not wait till we got things right. So when things are a mess Jesus is not revolted. He is there, ready to welcome you with open arms. If you have turned from those arms, run back to him today and wait for his warm embrace. If you have never known the love of God, and want to accept him, I am here to pray with you. As always please feel free to share or any post if it has touched your heart in anyway. I appreciate the support that you show me by sharing my posts with others. Thank you. This entry was posted in Life, Thankful and tagged Bible, God, Jesus, Life, November, Thankfulness, Thanksgiving on November 27, 2013 by Sara R.
I wanted to share with you four of my favorite links this last month that I used to form lessons, inspire creativity, and have fun learning with my children. 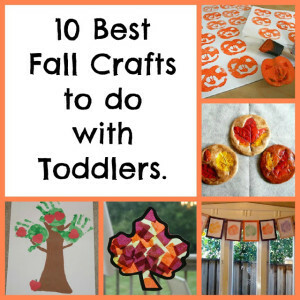 Now these are all fall or Thanksgiving themed so if you want to indulge in them you still have a little time before the onslaught of winter/ Christmas activities. Where is your child developmentally? Just because the activity looks fun or cute to you doesn’t mean it won’t frustrate you and your child if it is outside his current skill set. What resources does it require? Can you afford to buy what you are missing? Is there a way for you to create a substitute for what you are missing here at home? 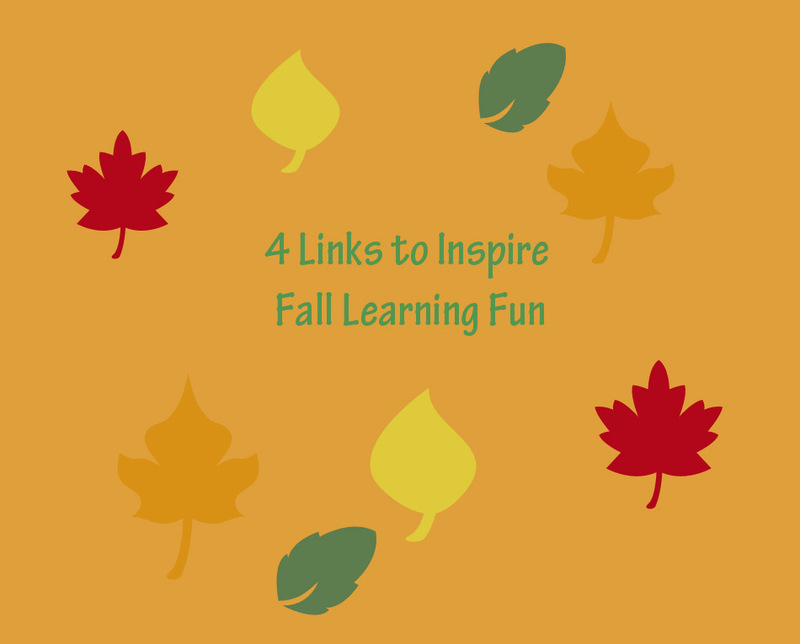 Do you have the time and/ or energy to to commit to this lesson or craft? From there enjoying looking through the links and discovering things you can do with your kiddos. 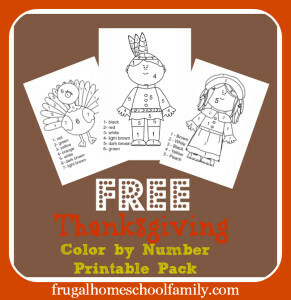 1+1+1=1 is always full of wonderful lessons and printables, and her Thanksgiving Preschool Pack is no exception. 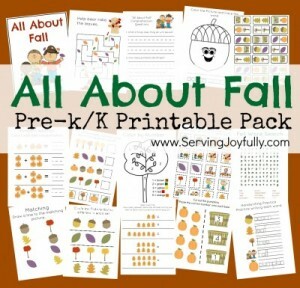 At Serving Joyfully, I found this wonderful preschool Fall Fun Pack, for my oldest, Chloe. 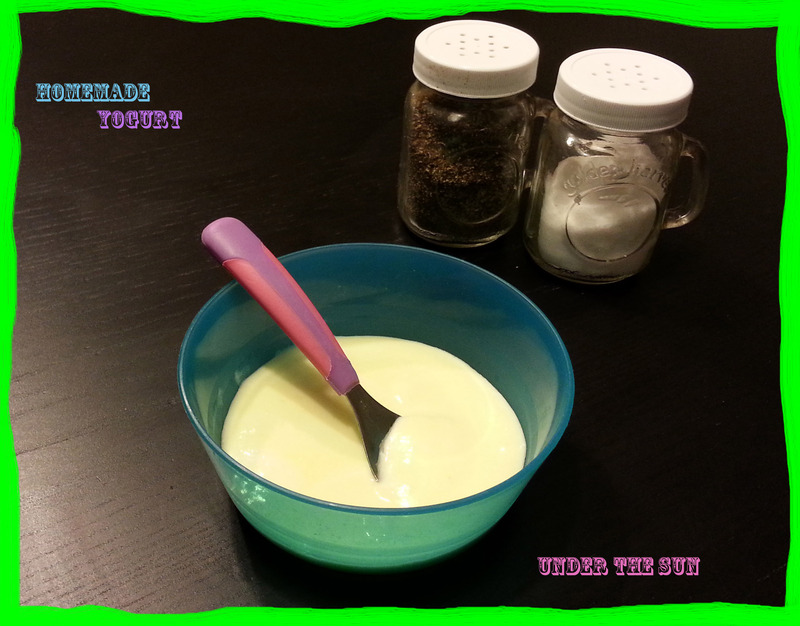 Over at Frugal Homeschool Family, I was able to find these wonderful color pages that both my 2-year old and 4-year old have enjoyed. The final link I want to share I discovered through Pinterest. 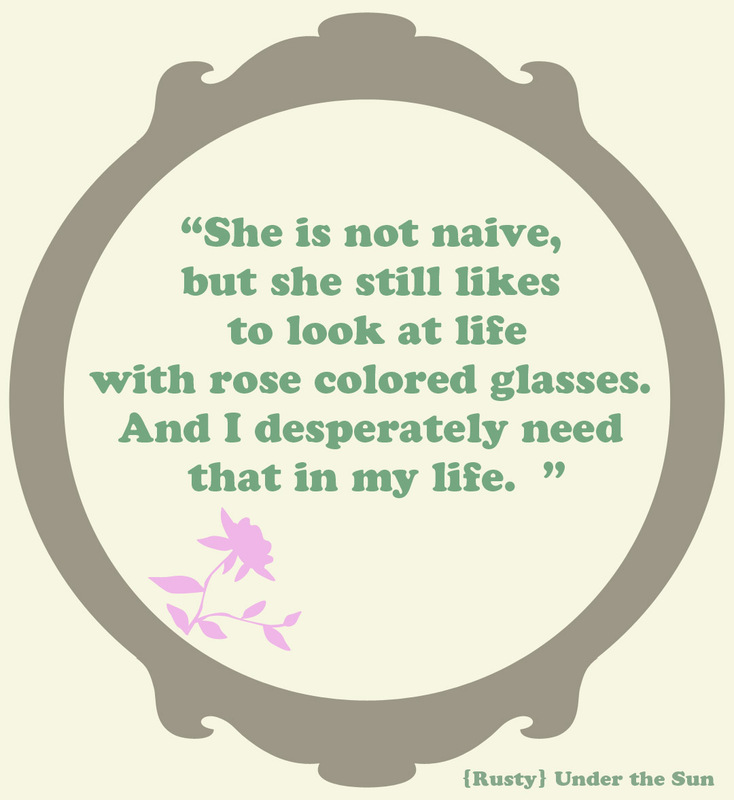 This link from Diapers & Daisies provided much inspiration for us over the last couple months and I hope to find more inspiration from them in the coming months. This entry was posted in Children, Homeschool and tagged Children, Free, Frugal, homeschool, Kids, November, Thankfulness, Thanksgiving on November 26, 2013 by Sara R.
Today’s post is one that I have thought about before and often rejected writing. So often, when I state the words that my experience with cancer blessed me it brings out the hate in people. I get it, I do. So today I ask if you are still battling cancer, have a loved one who is still sick, or perhaps it is still recent for you, consider skipping this post. In no way am I trying to minimize anyone’s pain. These are lessons and reflections from my journey with cancer. I remember asking at least once after my diagnosis, “Why me?” Not long after that I began reading many different stories from people who had battled cancer or been by the side of someone battling cancer. One story stands out in my mind, I don’t remember what it was called or even what it was about. What I do remember is how the author said they had a choice. They could ask, “Why me,” or they could ask instead, “Why not me?” I contemplated this question, and I prayed over it. And yes I concluded why not me? What made me think that I was better than anyone else? I wasn’t. There wasn’t anything I did that caused this. It was, what it was, and I was no better than anyone else. The way I saw things after this was asking, “Why me,” was part of a whiny self-indulgent pity party. I did not want pity. Instead asking, “Why not me,” helped me to realize this could happen just as easily to me as to anyone else. Let me tell you I have found when I encounter tough moments in this in life, if I remember to keep this perspective then those tough things are just a little bit easier to deal with, because I can tackle the issue at hand and not instead throw a pity party. It was also during this time that I found myself knocking on death’s door, or maybe instead death came knocking at my door, I am not sure which. Then again I am not sure it matters. Either way this point in my journey found me broken on my bedroom floor. Crying, I prayed to God. I told him I was done, I just couldn’t fight any more. It was then I felt his presence say it was okay. If I wanted to be done fighting I could go home. He nudged me back though with another thought, not just leaving it there. What about my husband, and my family? I answered that I didn’t want to leave them but I didn’t want to fight anymore. In that moment though I became convinced that I didn’t want to fight for myself, but I needed to fight for them. A peace fell over me when I came to that point. 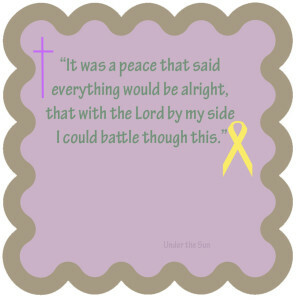 It was a peace that said everything would be alright, that with the Lord by my side I could battle through this. 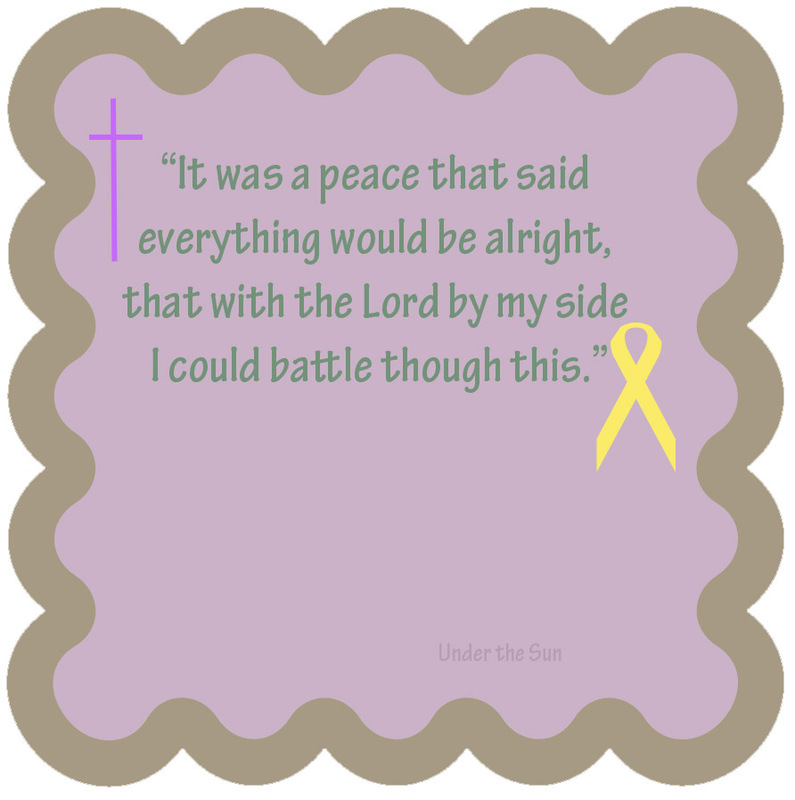 The Gold ribbon is the color ribbon for Osteosarcoma. That is the kind of cancer that I was diagnosed with. The trust I had in my God in those months is honestly unlike anything I ever experienced before or after that time. I have been blessed to understand and experience a complete trust in our Lord. It is a trust that I can only hope to come close to again. In the meantime I know I have been blessed to know that sort of close connection. 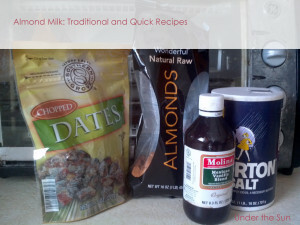 This experience also sent me into early menopause. It was from that experience and the subsequent miracle of getting pregnant , that I can truly appreciate the miracle that is my children. 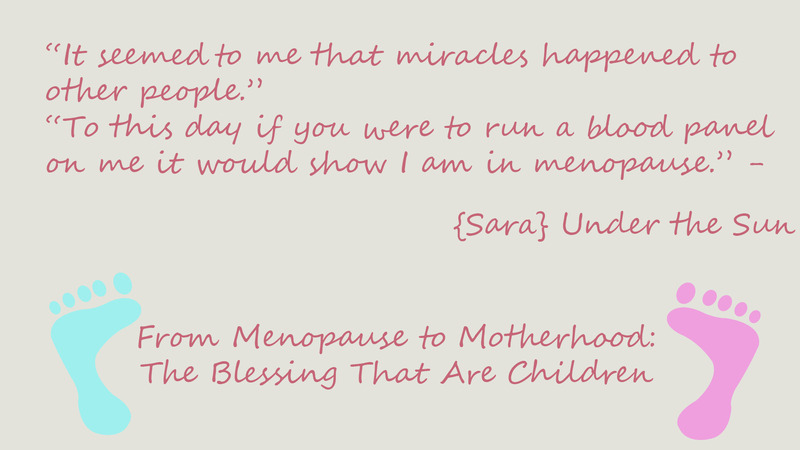 If you want to read more about that experience you can read about it in last weeks post titled, From Menopause to Motherhood: The Blessings That Are Children. If you want to read more about my experience from another perspective, my husband, wrote a touching piece titled, I’m thankful for my wife. If this post has touched your heart in any way, I would ask that you share it today. Thank you. 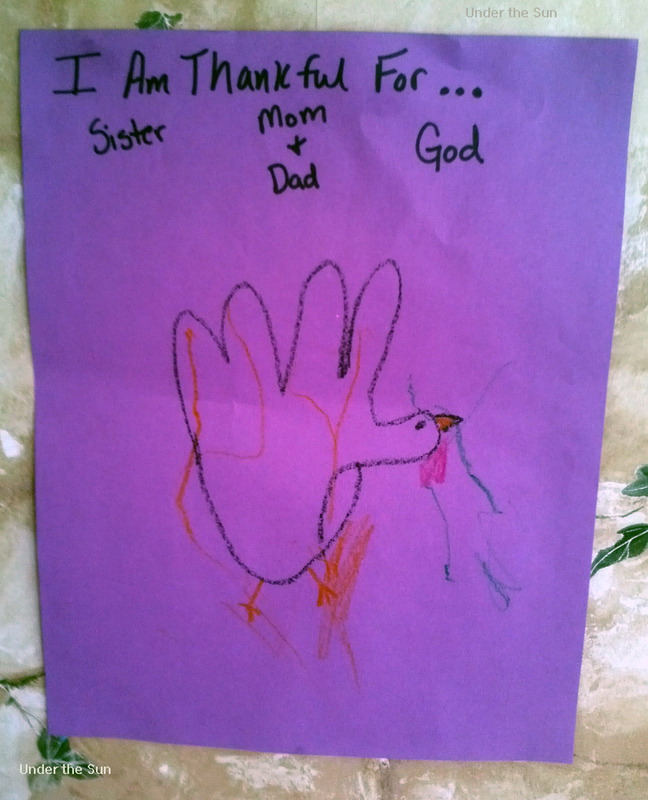 This entry was posted in Life and tagged Cancer, God, November, Thankfulness, Thanksgiving on November 25, 2013 by Sara R.
Rusty and I knew we wanted children even before we were married. We wanted a house full of laughter and love. 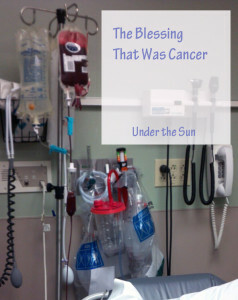 Less than a year into our marriage we faced a stumbling block to whether or not this might ever happen the way we envisioned, I was diagnosed with cancer and would need chemotherapy. 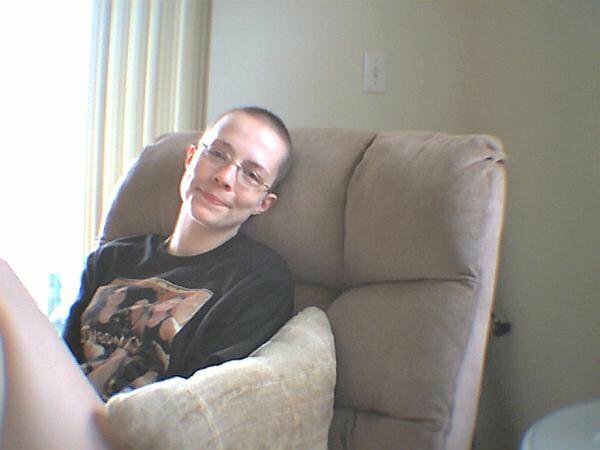 The chemotherapy did as chemo often does, it took a devastating toll on my body. By our first anniversary we had already had one of what would be many conversations concerning what we would do if we came out of this unable to get pregnant. By our second anniversary we knew though. We knew that the chemotherapy drugs had thrown my body into an early menopause at the age of 21. In the years that followed we talked to three different fertility specialists, tried rounds of different drugs (to stimulate fertility,) and during one of his deployments we had hoped to save up enough money to try the donor egg program. In the end the doctors didn’t provide much hope. They explained how multiple tests showed I was post menopausal not even pre. Even the fertility drugs seemed to tell us that donor egg was the only way to go. Yet during his deployment we never quiet got the 10s of thousands of dollars set aside. It was during that deployment I started to think that maybe a life without children would not be so bad. I know that there are many paths to parenthood, but at that point in our lives we were at an impasse concerning what that would mean. Yes I knew anything was possible with God, but at this point in my life it seemed to me that miracles happened to other people. We went back and forth on whether a donor egg was a way to achieve that miracle, or maybe we would adopt. In the end though I decided I was comfortable not having children of our own. God had other plans though, as he often does. 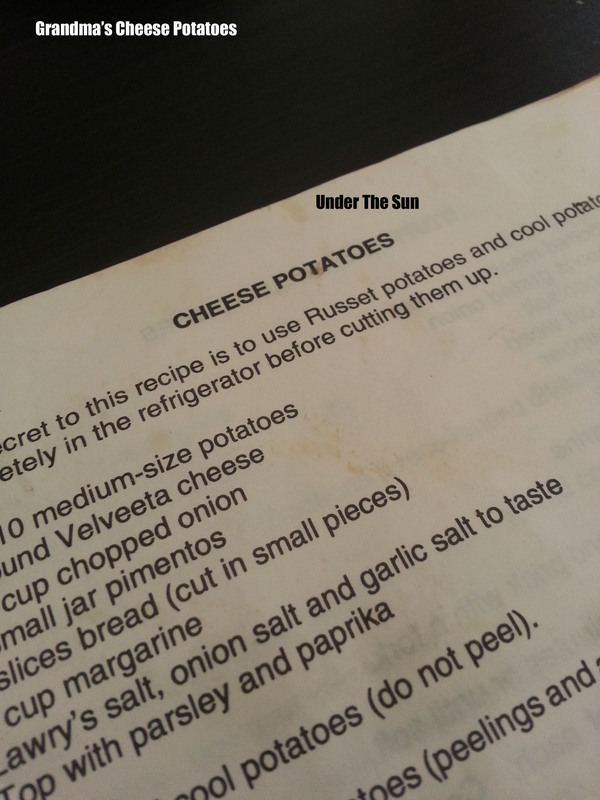 When Rusty returned home from Iraq, we had not saved up for the donor egg procedure, and I was alright with that. What did happen though was he came home in December and by Valentine’s Day I had learned I was pregnant. To say the news thrilled us was an understatement. We were walking on air. After all I had been through to get to this point, including two miscarriages even before the chemotherapy, I knew that this was nothing less than a modern-day miracle. My doctors all declared it was a miracle as well. That pregnancy, as things were, turned out to be pretty uneventful. I was blessed with a pretty easy pregnancy. It gave me time to think. Think about how we hoped that this meant a door was opening so that we could have more children, yet even if this was not the case we were still thankful for one. In October of 2009 I gave birth to Chloe, my sweet, beautiful, servant-minded child. By the time she was 6 almost 7 months old, I would learn I was pregnant again. It was another miracle! In February 2011 we were blessed with our second little miracle. Miss Paige is our rough and tough little girl who has a tender heart and wants nothing but to share her love. In March of 2012 the blessings seemed to come to a terrifying stop. I miscarried again, and this time I was in the ER, after having arrived by ambulance. I lost enough blood that I needed a blood transfusion. We knew though, as sad and scary as this was, we had already been blessed. Those two girls were and are, blessing upon blessing. It was upon the heals of that miscarriage though, I would get pregnant with our youngest daughter! Miss Madelyn was born January of this year, 2013. God is good. I tell you this to let you know I have been there, I understand the pain of infertility, but I also know the joy of motherhood. Yes motherhood has its challenges and raising three strong-willed children between the ages of 4 and 9 months can be taxing. But it is a journey that I appreciate, and I value. It is a journey that is from the Lord. 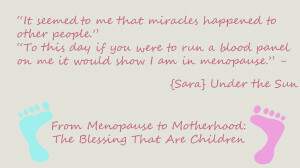 To this day if you were to run a blood panel on me it would show that I am in menopause. 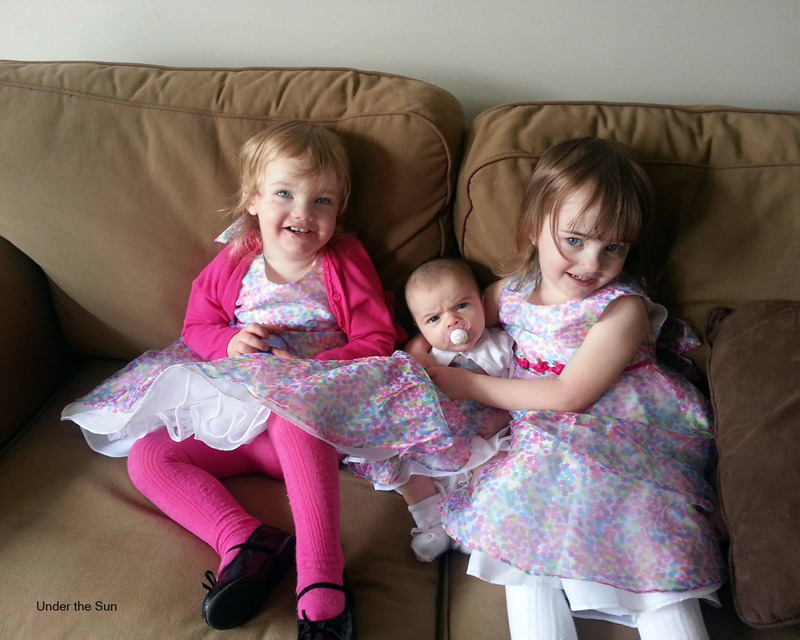 I should not be able to have children according to modern medicine, yet the Lord has blessed me with 3 little girls. So it is for these three little miracles I want to thank the Lord for today! This entry was posted in Motherhood and tagged Cancer, Children, God, Infertility, Love, November, Thankfulness, Thanksgiving on November 18, 2013 by Sara R.
There are many wonderful things about homeschooling that drew me to it: the flexibility in scheduling, the personalization of my children’s education, and the chance to protect them a little longer. 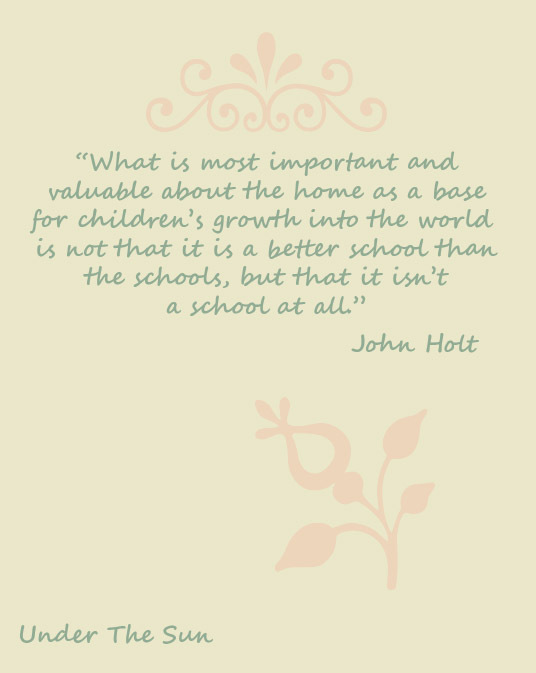 There have also been things I have learned that I value even more about homeschooling since I started preschool homeschool and started learning more from the homeschooling community. It is these things that I am truly thankful for in homeschooling. It is these things that have made me appreciate the other homeschooling families all the more. They are also the reasons I appreciate the homeschooling community, everyone from those I have met through blogging to those I have met in person. I have learned that if I try to replicate the model of the public or the private school systems in my home it is a recipe for burn out, burn out for myself and for my children. We can do school on the couch, in the kitchen, outside, behind a computer, or sitting at a desk. What they need is time with me coming along side them and showing how something works. And at their young age that can mean sitting down and playing a game of memory, or building blocks and asking them to repeat the pattern I created. I don’t need to drill them, or continually quiz them. With time I am sure tests will find their way into our homeschool but for now they are not here and that is fine. I can gauge their progress without a test. I have also learned that homeschooling my girls takes fewer hours of dedicated instruction in the areas of book learning than it would take to teach a classroom full of young children. So instead of sending Chloe out of the house for hours a few times a week we can sit down for 10-20 minutes a day 3-4 times a week. For those of you who are skeptical let me reassure you, with this model I will have her ready for kindergarten level work by next fall, a full year ahead of what the school systems require of her. Now of course if you have older children you will need to spend more time instructing them, but it still will not take nearly as long as the school day for those in brick and mortar schools. The reason is simply this: you will not need to spend as much time with busy work or covering material you already covered. Yes some kids will need you to still review, but working one on one you will know when enough is enough and stop the review portion when they catch on and then you will be able to move on to the next section. I am beyond thankful that there is no one right way to teach my girls, or to organize a homeschool. There are families who have a school room complete with desks for the kids and a teacher’s desk for the mother (if you are a father homeschooling good for you but I am going on the idea the primary educator in most families is the mother.) Then there are families who have a school room but that is simply a place to corral the school supplies. I have also met and seen families who are un-schoolers, they let all their learning occur naturally albeit sometimes a bit directed. Or maybe some combination of the above. So no matter what way you choose to teach, take comfort in the fact you are not alone. You are simply doing what’s best for you and your family. If you feel alone start by simply turning to the online homeschooling community. There are many of us, and I have found everyone rather welcoming. 3. Patience is not a pre-requisite. One of the most common reasons I have heard on why a person can not homeschool is they feel they do not have the patience to do so. I understand this statement, I have said it in the past. Since I have dove into homeschooling, and learning more about it I have discovered patience is not a pre-requisite. In fact many veteran homeschooling moms still don’t feel like they are very patient. Just remember it is something you can learn and develop with time. Although even if you have spent years cultivating patience you will still need to work on it. People will always find a new way to test your limits, and your children more so than others. As I have started to homeschool I have seen how learning can and does occur in a variety of situations. 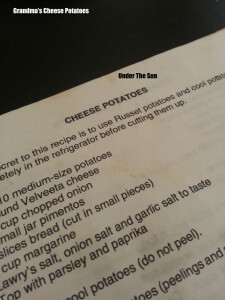 You can work on math as you are cooking dinner. Cooking offers a chance to explore counting, fractions, division (in some cases,) and following directions. Laundry can help with sorting, organization, motor skills, and more. 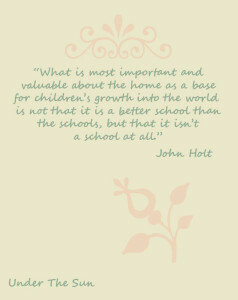 The point is there is much for children to learn in the running of the home. And the biggest thing they can learn through chores is probably responsibility. The Free Dictionary defines a disciple as, “One who embraces and assists in spreading the teachings of another.” So no matter where our children are educated, we are creating disciples. They will take what they learn from the environment they are in and spread that to the world. So let me ask you, what is it that you want your children to learn to value? If you send your kids away for eight, nine, or ten hours a day they are learning much about the world from the world. Do you like the message they are learning there? I didn’t. I decided to teach them at home so I could help teach them a global view with a Christian perspective. That is not to say this couldn’t be achieved if the kids were in public school, it could have. It would have been more difficult is all. No matter how you decide to educate your children, there are principles there for everyone. Take your time reflect on it. Digest it. Most of all appreciate that like parenting, there is no one exact perfect way to educate your children. Learn your options, they are many, and find what works for your family. This entry was posted in Homeschool and tagged Children, homeschool, Kids, November, Thankfulness, Thanksgiving on November 12, 2013 by Sara R.
It is my pleasure today to introduce, Amanda Palmer. I will let her do most of talking though today. 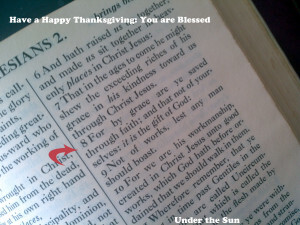 If you want to find more guest posts in the thankfulness series you can find the first one here. Thanksgiving is coming, it is a time to think about all the things we are thankful for in our lives. I know it sounds cheesy but what I am thankful for the most is my husband. 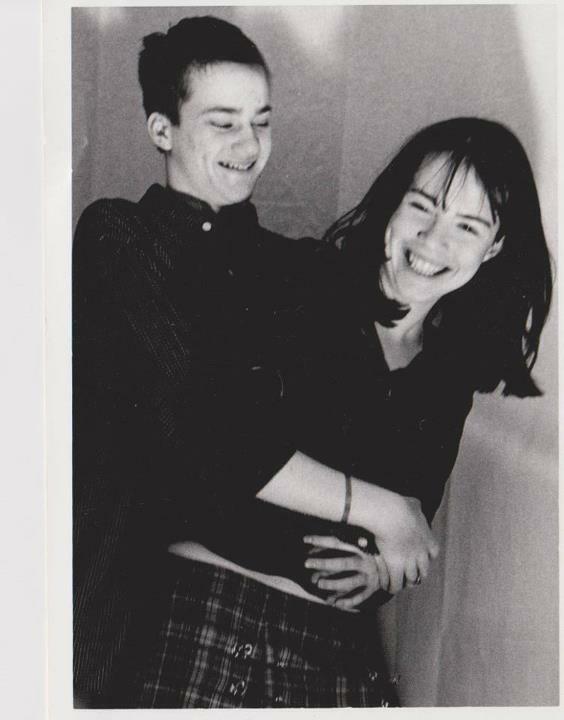 When we met I was not fond of him (not because of him but a judgment call he made), but after all that blew over I got to know the real him and I was smitten! He gave me one piece of advice back then that I thought nothing of, but was instrumental in me staying on the right path rather than the downward spiral I found myself in. I was living out of my car at the time he said this: “Staying like this will get you in a lot of trouble, when I leave go back home to your Mom” (he was vacationing for the summer in Florida and was heading back to Alabama). I went back home after he left and I stayed out of a lot of trouble that way. I thought when he left I lost him forever but our paths crossed again and this time I held on to him. Since then I haven’t looked back and I still cannot believe that was almost 18 years ago. I never thought I would find a man who would be my match in every way! He is my height so we literally see each other eye to eye (in more ways than one). He knows things I don’t and vice versa so it is nice teaching each other what we both know (and yes we still do teach each other new things after 15 years of marriage). When we both decided that marriage was in our future we didn’t approach it like other couples we actually talked about what we wanted and decided what was and wasn’t going to be in our lives. Don’t get me wrong we don’t always agree on everything and it isn’t always Sunnybrook Farms at our house but we try to get through our issues without a lot of hassle. The one major thing that I credit ourselves with is when we decided to get married we made it very clear to each other that divorce was not an option. I come from an old-fashioned family and divorce was never something I wanted to consider. No matter how hard it gets and no matter how much we want to strangle each other we both know we wouldn’t want anyone else. We have beaten the odds and stuck together because we love each other and I am proud that we are teaching our children what marriage is like, that yes there are arguments but no matter what the love we have for each other and our family is what makes us continue to strive for a happy marriage. One thing we both stand by is our relationship is the most important thing, yes the kids are important but think about it if your marriage is not tight and working properly what does that do for the family? The marriage that the family is based on effects everything, if that relationship is broken then your family is broken. So remember that the next time you think something else is more important than working out your troubles with your loved one. Supports me and the decisions we make. Is there every time I need him. Thinks of me and my happiness. Defends me when I am hurt. But it is also so much more than that. Recently I started my own business, yes he was skeptical but he supported my decision anyway. I can now easily say because of my want for success and to be able to stay home and take care of my precious family I am able to support my family from home. 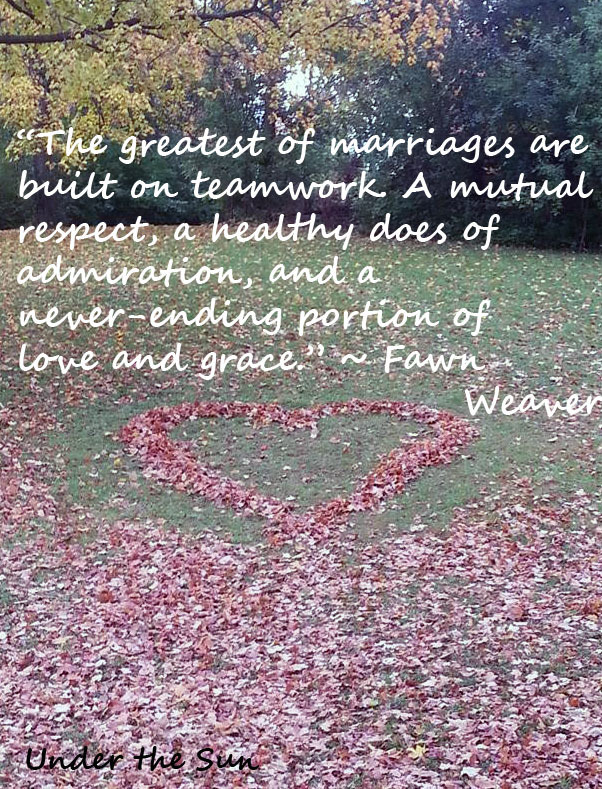 Yes I did all the work, but it was my husband’s faith in me that pushed me to succeed. We had a lot riding on my success and if I failed it would hurt our household terribly (talking bankruptcy) and even though it was scary he was behind me all the way. And that above everything is what I am thankful for…I am thankful for a man who loves and trusts me with his life. Amanda Palmer is the Founder and CEO of Palmer Fancy-Freelance. She is a dedicated mother to 4 beautiful children and the wife of a State of Florida Corrections Officer. Amanda was once a 9-5 day shift Administrative Manager to a Health Care Facility until that one fateful day she was told her services were no longer needed. Amanda pulled herself up by her boot strings (after a year of re-inventing herself) and started Palmer Fancy-Freelance as a way to stay home with her family and still bring an income into the household. Amanda writes a blog www.palmerfancyfreelance.wordpress.com in hopes to help others who want to choose the same path. This blog is not all business it also is filled with recipes, things Amanda learns about herself and her family and of course how she became freelance. 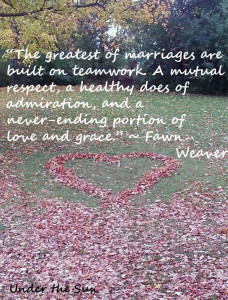 This entry was posted in Marriage and tagged Marriage, November, Relationships, Thankfulness, Thanksgiving on November 11, 2013 by Sara R.